I can’t wait for you to give me a dog! I hope you have a good time delivering presents this year! I LOVE YOU COMING TO MY CHURCH FOR BREAKFAST! I like the Santa snooper a lot. P.S. I just did it. Hi Santa this is Caylen i love your work. I cant wait until Christmas its only 27 sleeps away and santa can you please please give me an elf please! I loved the presents you gave me everything I wanted. can I get new berry dolls and stuff too go with it please. We have been on a vacation to London. Ho Ho Ho. Hi santa please talk to me or least show me one more video thank you I love all of you please tell me what kind of salad do you like cold . Love Penny. Santa i hope someday you have your own kids that’s well you choose.what do you do in the north pole? In 2014 i got things i did not ask for but that is okay because you did not get my list and i got an amazing toy ice princess instead of that . 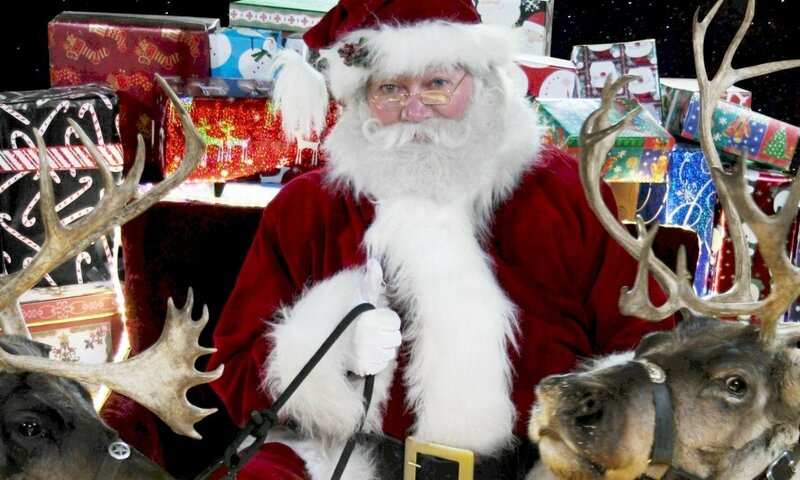 make shore you feed prancer and all of the other reindeer Santa hope your having a good time up in the north pole. Cant wait till December. I love love love my stable set. Thank you santa. Hello,First of all thank you for my crystal ring. I loooove it. Also, I moved this year from Saraland, Alabama to Midtown Mobile,Alabama this year my sister said to bring her a ring.Please,please,please send an elf on the shelf this year. yes i loved it, even though i wanted a puppy. How are you going Santa I hope you are having fun at the North Pole tell mrs clay I said hi what is frosty doing? Merry Christmas and happy new year to you and everyone in the north pole ho ho ho. I wish every one a merry Christmas. I love santa I wish every one a merry Christmas. Call me when my dad gets home today! I really love last Christmas my face was delighted when it happened Im pretty sure I got the computer off you so I was really happy I am looking forward for Christmas 2015 I really want a Xbox too why does Rudolph play Nintendo Wi?? Hi santa. I was given the mini table tennis set! Thankyou so much! Merry Christmas Santa I want to let you know so people dont belive in you so I say I don,t belive in you but I do is that ok ? You must have enjyoned that day !i wish I was there I would have liked to see when the Elev had his suit on his head. Ho Ho Ho very funny very funny . Thanks for the preesnts you gave me on whislist by the way some people say your not real but are are ,n,t you? I love Christmas, can’t wait till next year! I do realize everyone loves us. Especially our parents! I hope this Christmas you don’t get to tired! Thank you for everything from last Christmas. for christmas i want a playmation starter pack and a laptop and mariokart 8 oh! and santa am i good this year. Santa may I please have a stuffed owl and a phone. Thank you for the my password dairy. I love the awesome presents. My dog is naughty I don’t know if she will get presents.How do you know what we want. I love the the amazing preasents . they are awesome. How did you know I wanted a stuffed animal owl? I cant wait till Christmas santa I appreciate everything you gave me last year and I cant wait to see what this year holds thank you. Santa I whan’t a iPhone and candy I been vary Good this year I been baby siting a lot. and I take my dog for a wack’s and feed cat . I whan’t a sheet for my bed to. I believe in you. santa can you give me a elf like the ather kids?????? Dear santa this girl name samantha got a phone from you put could i be your helper on the sleigh on Christmas eve. Where are you on your slay ? And who is giding it ? Santa, I want you to bring my elves back! I miss them so much. p.s tell shimmer and santa boy I love them! Santa it is Laura I hope you give me my presents please I am counting on it Santa. thanks for my kendel fire hd I allways wanted one!!!!!!!!!!!!!!!!!!!!!!!! Santa can you please give me money this year . PLEASE, PLEASE, PLEASE, PLEASE and PLEASE. dear,santa me and my family sleep together. (you would be impressed to here that.) just go to the living room and put the gifts down. but we don’t have a Christmas tree! still pleeeeeeeaaaaaaaase give me the gifts. I want a Barbie ruler,Elsa and Anna sneakers and sandals ( my shoe size is 4) ,Elsa and Anna bracelets, a purse that you put around your neck it has to be brown with golden hearts a medium size but 1 inch small,2 perfumes called FOGG the purple and the red you put on your body its for womens but im big enough to put it on. please give me at least the FOGG bring what can. please bring the FOGG.you would be impressed that I am Bengali. please bring what I said. Santa can you bring Sally my elf back to life and can I have an IPHONE 6. Please? I hope you can bring my elf back to life because I touched it and it was in a bad spot and it’s dead an I hope u can bring Sally back to life. P.S Sally is my elf. P.P.S can you get me an IPhone 6 too. Please? Santa I know its not 2015 Christmas until Dec. but can u change ur blog to show what you’ve been doin this month plz.?????????????/????????? so I can prove it to them, can u send me a selfie with Mrs Claus, Rudolph and the elves!! I would want to stay up all night to see you! I love you .I love you to the moon and back .And I better be on the nice list. why do people say that your not real? you always will be for me and my family. thank you for my Nerf guns! and everything else you have got me!!! please this year can I have an Instax mini 8 blue with a blue cover and of course some film. P.S:Thank you so much for the dolly parton album and the tea cakes and very thing else I got!!!! Thank you for the olaf blanket and elf in the shelf game. p.m. I would like an easy bake oven. Can’t wait to track you, ’till next year, Santa. I saw your Webcam and its awesome I love Santa just as much as my family, friends God and Jesus. I am very excited Christmas 2015! Thankyou for the Cerise Hood doll I loved it! I loved my presents those were my favorite ones with my American girl dolls and I sent you a letter and you got it. Who can’t wait tell Christmas I know I can’t . Love you Santa. Hey Fat man, you’ve had your last chance! Come near my house without a SACKFUL of presents and you’ll be sorry! I know where you live! I know I asked for a iPod but I am still glad that I got a kindle thank you. You Are One Cool Santa Clause. And Yes I Did. I LOVED what you got me thank you i cant wait until next Christmastime . i will be on your good list until i am an adult ( i hope)cant wait from you . i love christmas and i also love you bringing me and my family presents. You all can come to my birthday on March the 1st. As if you would say Carla Santa spoiled mine. Sorry Santa I’ll talk to Demi later .We have sent emails but bye.I adore you Santa. Thanks for my Isabelle doll and all my Presents!!!! i loved ALL the gifts you brought me. Thank you for the present!!!!!!! Thank you the doll school!!! And thank you for everything else!!! i loved both i think you did a great job on my christmas presents thank you so much i really enjoyed it. i want to say a very big thank you to the elfs for making me my toys. and a special thank yout to the reindeer for bringing them to my house. but i need to give a bigger thank you to santa clause for making sure that i keep my self nice and my elf on the self is the best one i think you could get. i love all the people there at the north pole. and mrs. clause for keeping santa in shape. I loved my presents and also I love doc Mcstuffin.i am doctor KynKen. I am just sad that you never came to my apartment in Toronto, Ontario in Canada. But why didn’t you come to my apartment Santa? Their were cookies, chocolate and a note from me waiting for you at my apartment Santa why????.? Santa You Are The Best. The Gift You Gave Me Is Very Awesome, But If You Don’t Write A Wish List Will You Get A Gift Card? P.s You Are Amazing!!! Hello Santa, I loved the gifts you give me. Even if kids say your not real you are always real to me. The present that I want for christmas is ben 10 omnitrix, yo yo and x box one. Previous PostPrevious Christmas Eve 2014! Next PostNext Christmas in July!